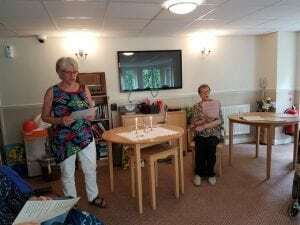 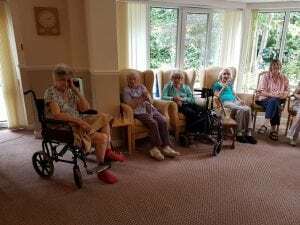 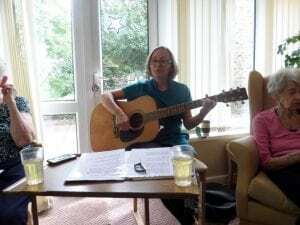 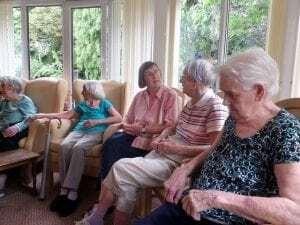 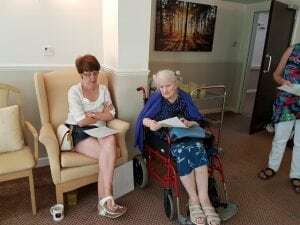 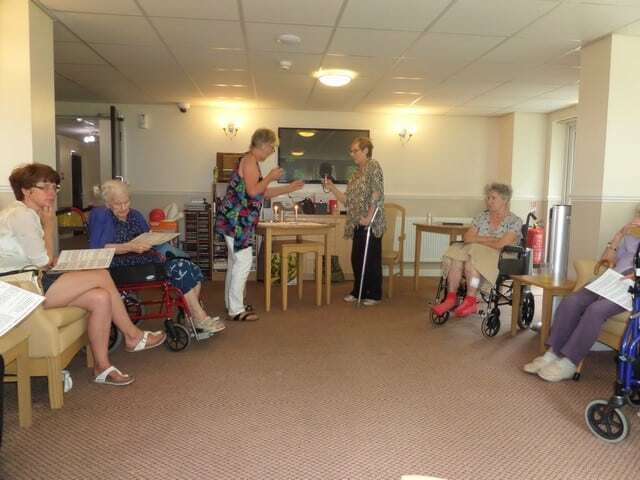 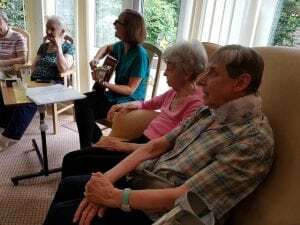 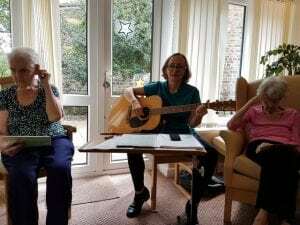 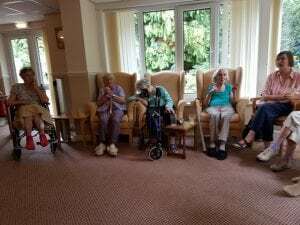 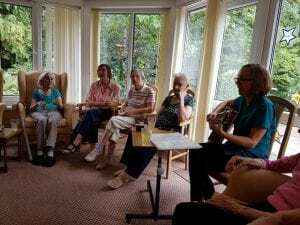 We had a great turnout for or monthly Holy Communion session this month, lead by Jennifer and Francis.We had Sheila’s daughter Phillipa, Lois’s daughter Margaret and Betty join us and the residents who attended were Pat, Marion P, Margaret P, Tricia, Sheila, Anne, Olga, Margaret S and Lois. 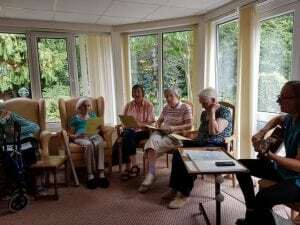 We read prayers together, sang songs, listened to bible readings and partook in Holy Communion. 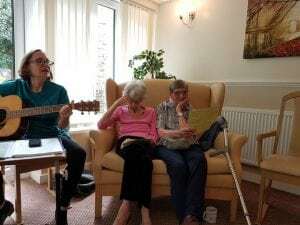 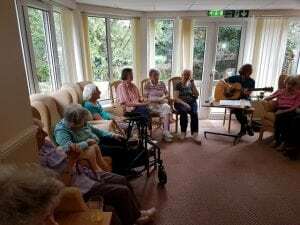 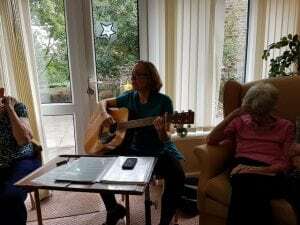 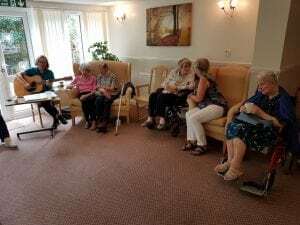 We ended with a sing along session lead by Tracy on the guitar.